Police have arrested a Columbus man they believe robbed the Huntington Bank in Delaware last week. 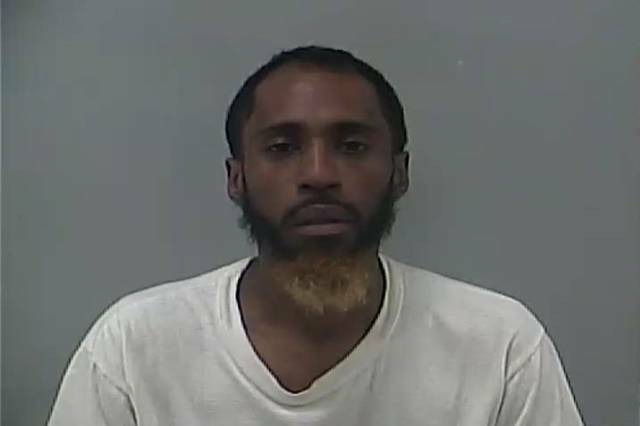 The City of Delaware Police Department reported Tuesday afternoon it had arrested Ryan L. Johnson Sr. outside his residence at 3540 Bolton Ave., Columbus, and charged him with robbing the Huntington Bank located at 95 E. William St.
After his arrest, Johnson was taken to the Delaware County Jail, police report. An arraignment in Delaware Municipal Court has not yet been set. Police report that around 4:30 p.m. on May 14, Johnson is believed to have entered the Huntington Bank where he allegedly took an undisclosed amount of money from the teller before fleeing. Delaware Police detectives report they were aided by information obtained from social media sources identifying Johnson as a possible suspect, and they executed a search warrant at his residence with the assistance of the Columbus Division of Police Tuesday to collect evidence. This case remains under investigation, and anyone with information is encouraged to contact Detective Sgt. Mike Bolen at 740-203-1125. Johnson was in the Delaware County Jail Tuesday.